As I sit here writing this there is a tiny terrorist toddler beside me jumping on the guest futon, the downstairs has flooded thanks to a brilliant husband enacted plumbing "quick fix" and the lawn is over 8 inches tall because the mower is trapped behind the latest building project in the garage. I have exactly 5, wait 8, okay probably more like 10 projects on the go and a giant backlog and that's before we thought we could build a greenhouse, and a play structure, do dance recitals, spring concerts, campout and piano recitals. My point is that life is busy, right? It seems like it zips past us so quickly, the most surprising example being that our oldest is 9 (?!?!?!) which baffles and delights me daily. Sometimes when I am feeling overwhelmed I retreat into a small project, I dismiss all the other things I have on the go and find something really quick to work on. Usually it is a gift for a friend, or a baby outfit of some sort, it needs to have just the right amount of interesting and fast. 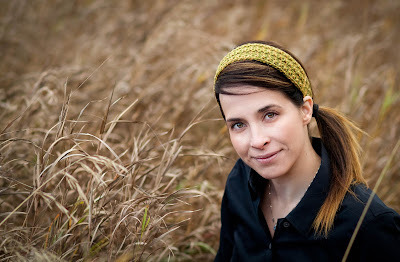 My daughters love to receive knitted items and the smallest and most coveted one is a headband. 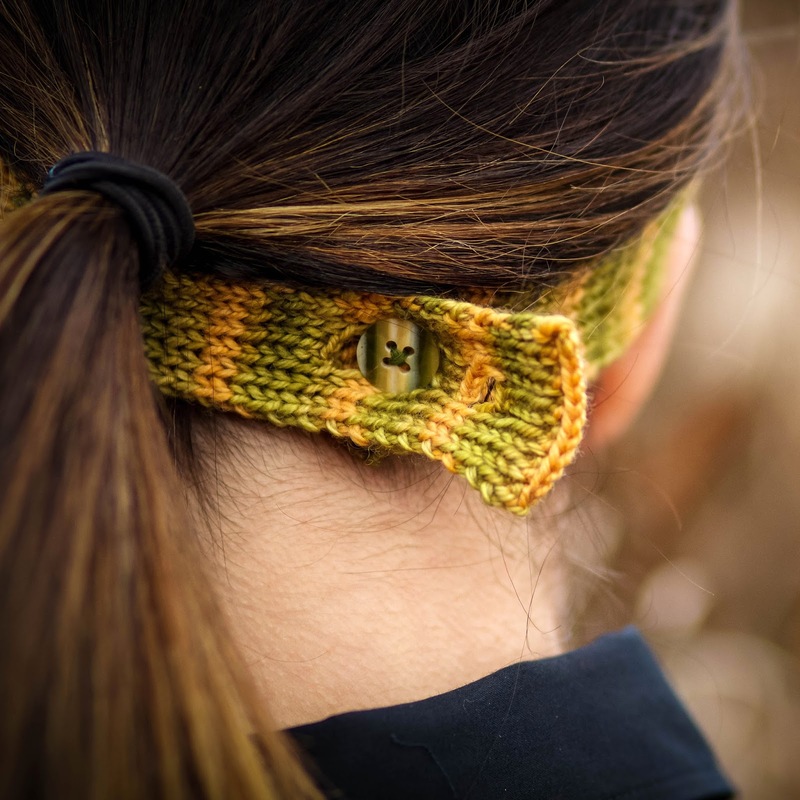 I have designed a few headbands but I think my favorite is this one; Polos Headband was originally released in Knitscene Accessories in 2014. 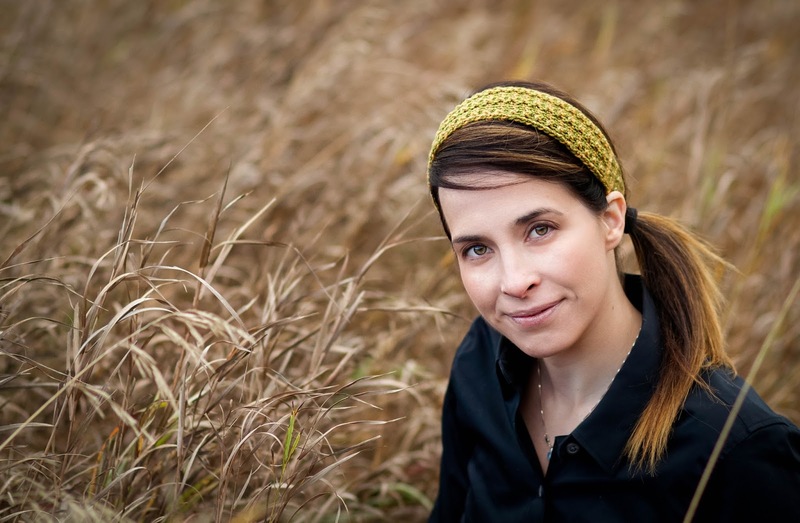 At the time the call for submissions was for knits inspired by history, or historical characters and places. I have always been a fan of Greek Mythology and rather liked Hera the queen of the Gods. 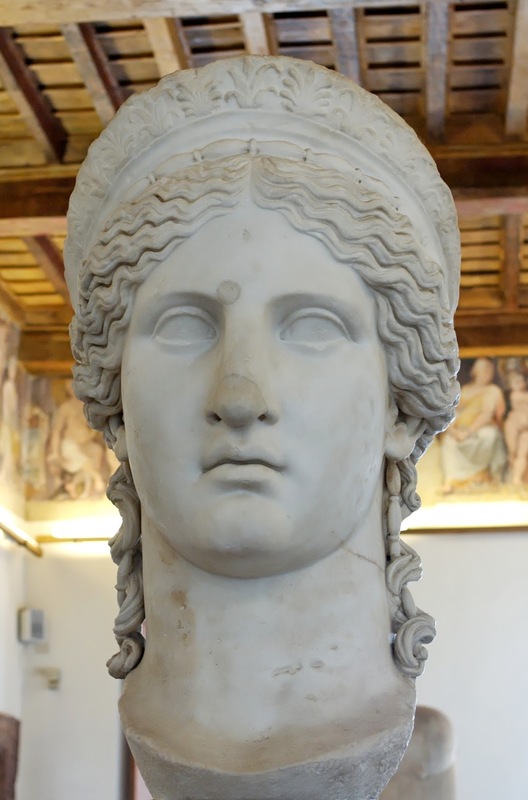 She was steadfast, the goddess of marriage and family she never had dalliances with humans or anyone (or thing, it's mythology, we need a proviso) outside of her marriage. 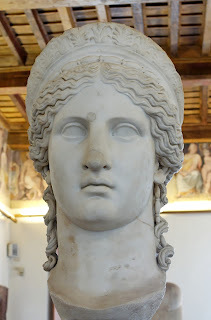 Originally I had come across an image of this bust of Hera and really liked her Diadem, it was actually a symbol of her power and fidelity and was included in many sculptures of her. 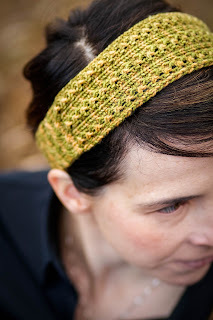 I wanted to try to emulate the feeling of this Diadem in my proposal with a combination of cables and lace where the stitch patterns shape the headband, not increases or decreases. The headband is worked from end to end, it begins and ends with 1x1 ribbing, transitions into a subtle cable pattern behind the ears and a delicate lace pattern for over the crown of the head. 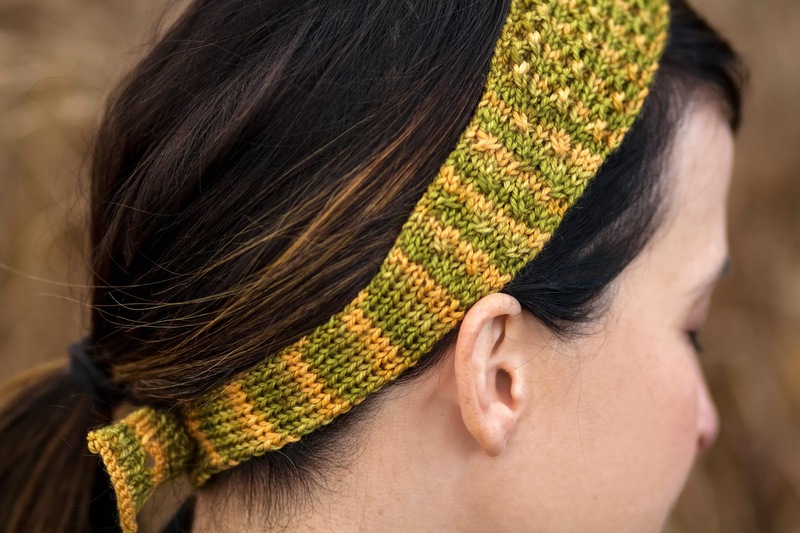 The finished piece only uses about 20 grams of sock weight yarn and is perfect for those bits of leftover yarn from socks and shawls. 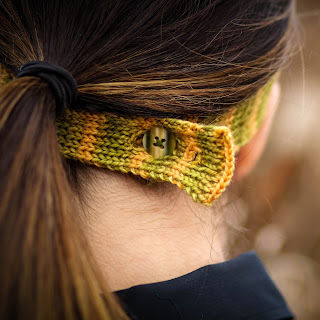 Actually it would look great if you changed color between the ribbing, cables and then lace and back again.. hmm... someone try it and share it on Facebook with me okay? Please take note of the button, that almost perfectly matches the yarn. It is a vintage button I had in my stash from who knows where, and when the time came to find the right fastener for this yarn the button magically appeared at the top of the pile. It gives me this silent and deep feeling of satisfaction when I look at it, like perhaps if I can find a button to perfectly match yarn then I can do just about anything, (or at least keep telling myself I can).